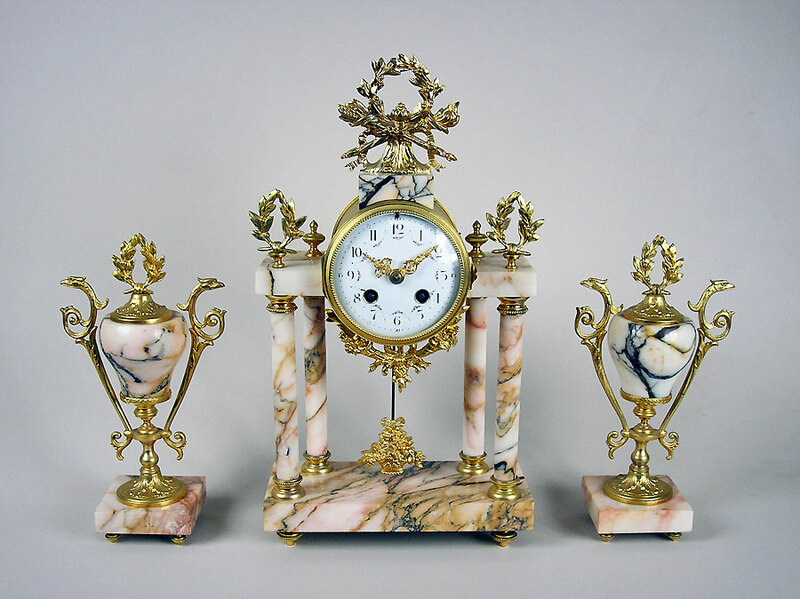 This is a French gilt brass and veined marble mantel clock set by Society Clousienne. 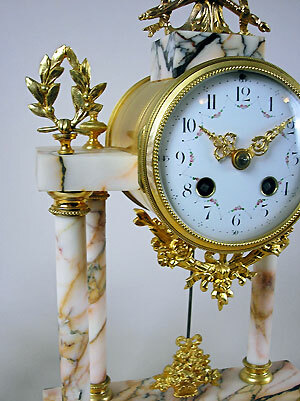 The clock dial has garlands, Arabic numerals and gilt pierced hands. The bell strikes an eight-day movement that is signed. The four pillars have gilt capitals and heroic mounts, while the pendulum depicts a flower basket. 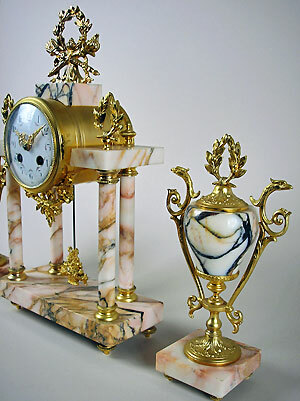 The side pieces are marble urns with ormolu mounts. 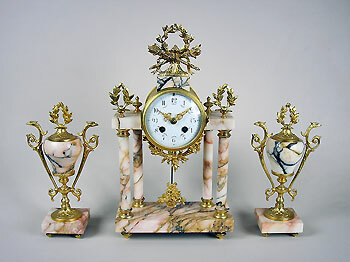 Both the clock and urns are on gilt brass feet.